Do you hate when your windows fog up when you're driving? Then take an old sock, fill it with kitty litter, and close the end with a rubber band. You can then place your little creation on your dashboard where the kitty litter will help absorb any extra moisture in your car. Keep your lingerie smelling fresh with a homemade potpourri satchel. To create the satchel, all you have to do is fill up one of your lonely socks with some nice-smelling potpourri. Secure the end shut with a rubber band, and then place in your underwear drawer. A single sock makes an excellent dusting mitt. Just put the sock over your hand, spray with some furniture polish and — voilà — dust away! Dog toys can be expensive. So why not use an old sock to create your own? Simply place a tennis ball or an empty water bottle into a men's tube sock and then use a knot to close it up. 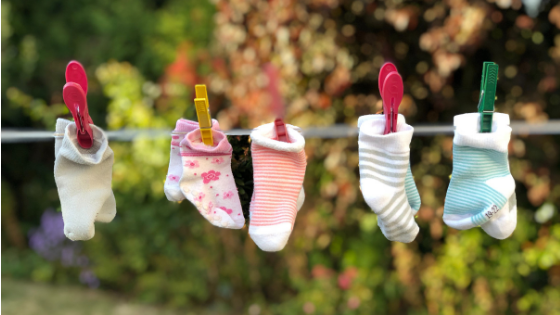 Do you have a cute baby sock laying around that is just too adorable to toss? Then turn it into a little coin purse. All you have to do is sew a coin purse clasp on the open end of the sock, and you're done. Now, that you've found a new life for your single socks, maybe it's time to spice up your own life with a new apartment. Our beautiful apartments in Springfield offer a host of highly sought-after amenities, including stainless steel appliances and deluxe kitchens. Our community also boasts a swimming pool, a state-of-the-art fitness center and convenient access to the Metro.